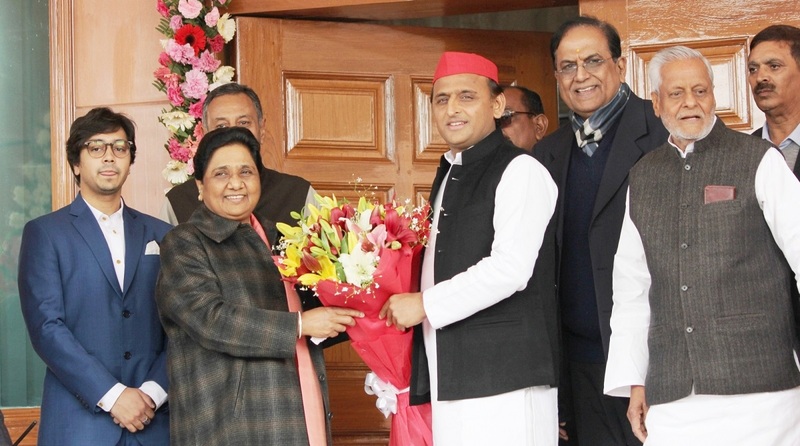 Having cemented an alliance with the Samajwadi Party in Uttar Pradesh for the 2019 Lok Sabha elections, Bahujan Samaj Party president Mayawati appealed to workers of both the parties to forget their past differences, work in unison, and ensure the victory of the candidates of the alliance partners. Mayawati said this would be the perfect birthday gift for her. The BSP chief made this appeal during the course of a press conference to mark her 63rd birthday on Tuesday. She said the past differences (the reference obviously being to the infamous State Guest House incident of June 2, 1995) and their own self- interest should be overlooked by the workers for the success of the candidates of both the parties. Launching a sharp attack on both the Congress and the Bharatiya Janata Party for doing scant for the uplift of the downtrodden and deprived sections of society, Mayawati said false promises and `jumlebaazi’ (rhetoric) of the two parties will not work for long. She referred to the recent Vidhan Sabha elections of Rajasthan, Madhya Pradesh, and Chhatisgarh as also the earlier ones of Karnataka and Telengana. Fingers have already started being raised at the Congress party’s promise of loan waiver to the farmers of these states and its inability to implement it effectively. In an obvious effort to woo the farmers, Mayawati called for the formulation of a national policy for farmers which would keep their interests foremost and also embrace all sections of the community, including the small and marginal ones. The BSP president made a forceful plea for implementing the Swaminathan Commission recommendations. The defence deals of the country also merited her attention. Mayawati said a transparent policy should be formulated for the same after consultation with the main opposition party as also other political parties. This would prevent finger raising and alleged scams such as those of Bofors and Rafale. The BSP president slammed the BJP and the Rashtriya Swayawamsevak Sangh (RSS) for dividing the society along caste and sectarian lines. Mayawati said things had now reached a stage where even gods were being bracketed along caste lines. Even as she condemned the BJP and the RSS, the BSP chief also made an attempt to woo the Muslims when she alleged that the official machinery is being used to prevent the Muslims from offering Friday prayers. Mayawati said the BJP was not shying away from using government machinery for harassing opponents. 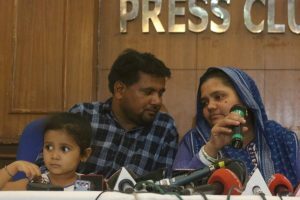 She mentioned Samajwadi Party president Akhilesh Yadav and quoted the recent CBI raids in Uttar Pradesh on the alleged illegal mining in the state while condemning the same. Referring to prime minister Narendra Modi’s rallies along the length and breadth of the country, Mayawati said people were being enticed by false promises. Condemning the BJP government’s “ ahankari” (arrogance) and “tanashahi” (dictatorial) attitude, the BSP president said the top leadership was now offering only clarifications, adding that “chunavi vaadakhilafi” (failure to fulfill poll promises) will go against the BJP ( in the 2019 polls ).